- Size : 27W x 25D x 48H. - Wt. : 750 Kg (Fire Resistant). - Photograph is of Double wall (DW) safe. Single wall available. 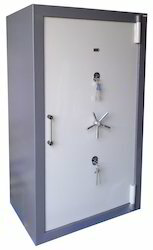 All types of Mechanical and Electronic Safes & Lockers. Available for both home and offices to protect valuables and documents. Superior quality Fire Proof Safes are being offered by us at industry leading prices. These are corrosion resistant and can withstand extreme temperature conditions. 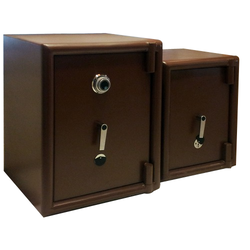 Rated as per their withstanding power to extreme temperatures, these fire proof safes are highly demanded by banks and jewelery stores for the safe storage of precious articles. With the firm commitment to quality, we are able to come forth with Fire Proof Safe to our respected patrons. These are resistant to fire which assures the proper safety of the things at the most reasonable market-leading range of price.